Are you at a standstill in your workout results? Then you may just have to look at Complex Training. This holy grail of working out combines strength training, plyometric movements and athletic training into a superhuman form of exercise. If you are focusing on lifting and strength training, but feel like you need an addition to your routine, try complex training. This circuit-like approach to weight lifting will give you a cardio boost as you break down complex lifting routines into individual movements. Doing 8-10 reps of each movement with no rest between exercises will give your muscles the burn from lifting at a high intensity while also staying active with movement. 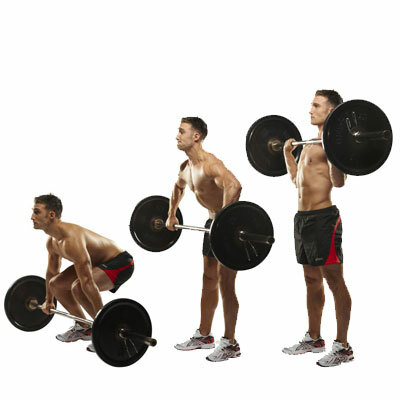 Sometimes called combos, complexes are a series of exercises done as one long circuit, without rest in between exercises. The key difference between complex training and classic circuit training is that whereas circuits typically have you switching from station to station or machine to machine, complexes use the same piece of equipment for each exercise. You may, for example, grab a barbell loaded with a total of 80lbs and crank out 10 reps of eight different exercises without ever putting the bar down. Depending on the design of the complex, it may consist of a deconstruction of a larger movement. For instance, an Olympic-style clean and jerk, although counted as one exercise really consists of four distinct movements. One of the best complexes, the Cosgrove Evil 8 (described below), breaks each of these movements into its own exercise and chains them all together. Essentially, complexes combine explosive plyometric training with strength training to produce a thoroughly challenging workout. Plenty of workouts are hard, but that doesn’t necessarily mean that you should start working them into your regular routine. So, what makes complexes so special? The benefits of compound exercises, those that use many muscle groups all at one, are well-documented. Because this type of exercise engages more muscle fibers than an isolation exercise, it increases the amount of fuel, or calories, your body needs to burn. 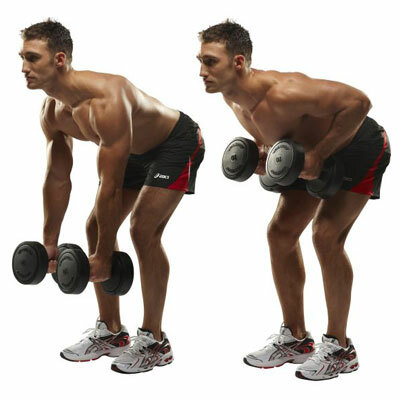 To illustrate this idea, consider the difference between a squat and a bicep curl. Not only does a squat use the muscles of your back and abs, it focuses the weight on the large muscles of your legs. Curls, on the other hand, put of the emphasis on your biceps, which are comparatively much smaller muscles. Complexes put several of these exercises together to create what amounts to a cardiovascular workout. Imagine the huge benefits of performing a full-body, cardio workout while hauling 100lbs around. That’s exactly what complexes have to offer. Not only will you improve your cardiovascular health while maintaining your strength, you’ll spike your calorie burn and achieve the valuable EPOC state. Short for excess post-exercise oxygen consumption, EPOC is more commonly known as after-burn. This amazing metabolic state means that you’re continuing to burn calories well after you’ve finished working out. Consider the fact that the EPOC from a traditional cardio routine may last a few hours but the metabolic boost from complexes can last at least 24 hours. Perhaps the best part of complexes is the length of the workout. It sounds a little bit like an infomercial, but the truth is that you can achieve all this in about 20 minutes. Of course, complexes aren’t the magic solution that will propel you to your fitness goals but they can be a very powerful tool in your workout arsenal. There are many, many complex workouts out there. You can adapt your workout based on the equipment you have available or just based on your personal preferences. The Cosgrove Evil 8 serves as a great example of a standard, effective complex. 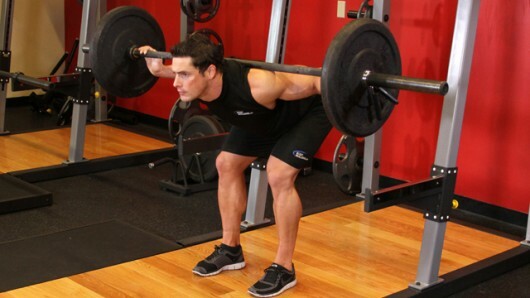 To perform this complex, load a barbell with a relatively light weight. The general guideline here is that you should be lifting the heaviest weight that you’re capable of on the weakest movement. So, if you’re doing an overhead press and a squat, pick the weight for your press. 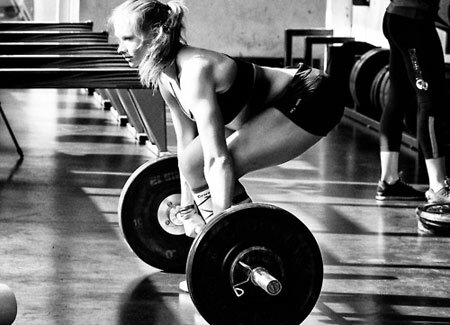 If you tried to press your squat weight, you would probably end up doing some serious damage. You’ll do six reps of each exercise, with no rest in between. Once all of the exercises are done, you can rest 90 seconds. This time, do five reps of each. Continue to decrease the amount of reps until you’re done to one. Complexes, like all other things, have their limits, though. They won’t increase your muscle mass or your endurance so, if you’re training specifically for these things, keep complexes in their place. What, then, is their proper place? Complexes are an effective cardio workout without risking muscle loss. Instead of running like a gerbil on the treadmill, mix it up by using a complex in the place of your HIIT. Because they get so much done in so little time, complexes are also a great workout when you’re pressed for time at the gym. Studies have also shown that complexes have the ability to increase athletic performance, especially when it comes to jumps and sprints. For a basketball player or similar athlete, complexes can be a great way to gain an edge. Complexes like the Evil 8 can offer a mind-blowingly effective workout. Why not give the Evil 8 a try on your cardio day? Your body will thank you for it!